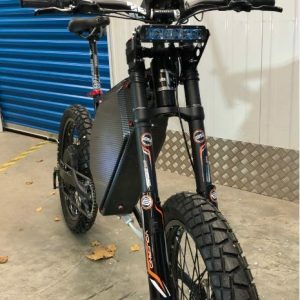 These are the ultimate in hand built customer electric bikes with pedals for off road use. 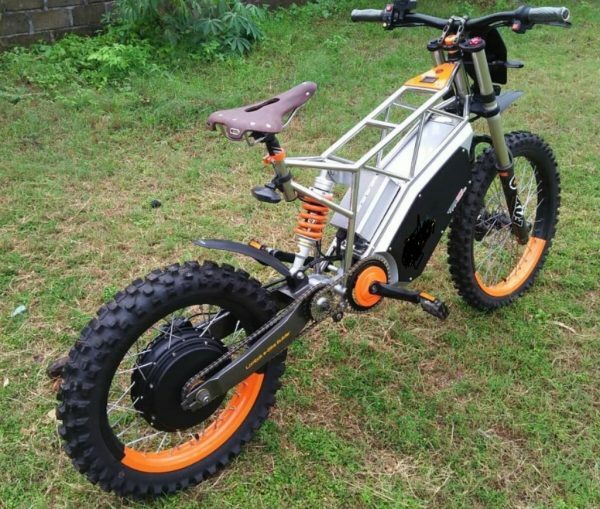 Planned color scheme (can be altered on request pre build – photos are off similar bike) Stainless steel trellis frame, Vivid Orange swing arm, and battery box, side covers dipped in black/orange “Tiger” stripes. black wheel rims. Option two: Stainless steel trellis frame, matt black swing arm and battery box, with side covers dipped white skulls on black background, black rims. This pure custom built frame, handmade in Bali and fitted by us is a true custom beautiful build. 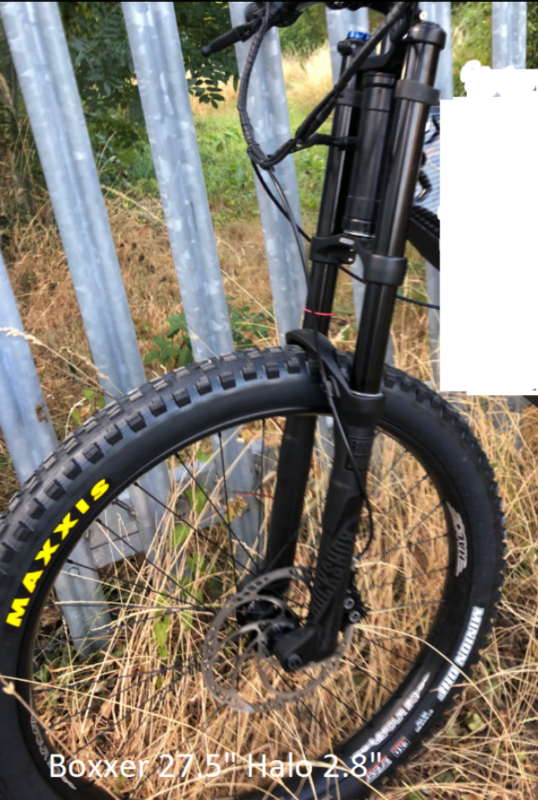 Designed to run fast trail and tarmac, a bike for connoisseur and not the average Jump merchant (but we do love jumping on the right kit). These bikes will be built to the highest of quality, but being custom built will need a little TLC. You wouldn’t enter a Ferrari into the RAC rally, so don’t enter this into your local Downhill Course! 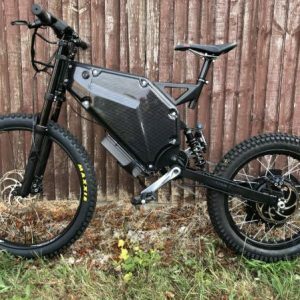 If you’re looking for ebike exotica, this is it. The frame alone costs 3-4 times the amount of a mass produced frame. Every part hand cut, machined or welded. Fabricated by highly skilled metal smiths, in a small workshop. No production lines or robots and templates; Just human artisans. The frame being trellis, inspiration gained from the Ducati 911, we added the “fusion” as it’s our parts and labor that makes this bike into the end result. 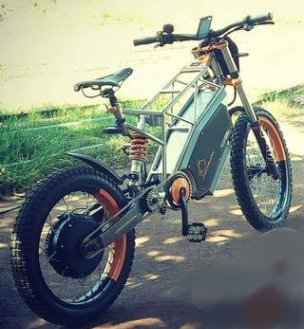 The photo shows a pre-built bike by the frame builders, but we intend to go that little bit further with the very best in ebike technology for this type of fast trail bike. Look at the specifications below. 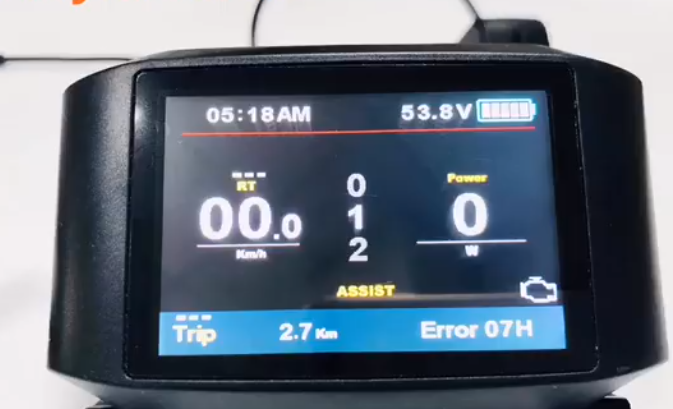 We’re still not sure about the configuration for the UK built battery. Quite simply we will cram as many high quality Samsung 30Q cells, that we can get into it. Our aim is to at least use 21S16P but if we can get more in, we will! Hand Built Trellis frame in stainless steel. ASI BAC 4000 FOC Controller with 750c Display.